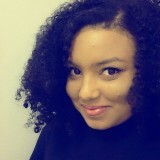 Furaha Asani. PhD in Infection and Immunity. Professional in the streets, loud on the sheets of paper. Wrote on medium every single day of 2016.